Win Dressage Bucks and redeem your prizes from the store! Welcome to the all new Dressage Derby Series. We are thrilled to announce that the decade long partnership between CNDC and Schleese Saddlery of Canada will continue. Together with other generous sponsors, Schleese Saddlery is giving tack items, including double bridles, bridles, girths and stirrup leathers which can be redeemed from the show office, using the points ("dressage bucks") earned at the Derby Shows. Refer to the prize list when preparing your entry for more information on the new "dressage bucks" prize system. Additionally, there are plenty of opportunities to win awards and prizes at each Derby weekend. May 7‐9 show is an “Official Qualifying Competition for the 2018 Adequan FEI North American Junior and Young Rider Championships presented by Gotham North; the 2018 Children Dressage National Championship; the 2018 USEF Pony Rider Dressage National Championship; 2018 AGCO/USEF Junior and Young Rider Dressage National Championships; and the 2018 USEF Young Adult ‘Brentina Cup’ Dressage National Championship presented by Dressage Today. Official Qualifying Competition for the 2018 Markel/USEF Young and Developing Horse Dressage Championships. Official Qualifying Competition for the 2018 FEI World Breeding Championships for Young Horses in Dressage (Five, Six, and Seven Year Olds.) See page 5 for classes and information. June 22‐24 show is an Official Qualifying Competition for the 2018 Markel/USEF Young and Developing Horse Dressage Championships; the 2018 Children Dressage National Championship; the 2018 USEF Pony Rider Dressage National Championship; the 2018 AGCO/USEF Junior and Young Rider Dressage National Championships; and the 2018 USEF Young Adult ‘Brentina Cup’ Dressage National Championship presented by Dressage Today. See page 5 for classes and information. Earn "Dressage Bucks" by showing at the Derbies and redeem some of these amazing items from the show office! Ribbons First to Fifth place. “CNDC Dressage Bucks” awarded – First = 10, Second = 6, Third = 4, Fourth = 2, Fifth = 1. Dressage Bucks* can be used in the “CNDC Store” to get prizes. Prizes will assigned a Dressage Bucks “value” starting at 10 “Bucks” and going up. Examples of prizes available are; horse cookies, glassware, saddle pads, polo wraps, girths, stirrup leathers, bridles and other. Prizes are available during show hours in the CNDC Show office. Dressage Bucks do expire, but can be combined and used from one show to the next. Not required to use bucks at show acquired. Divisions; Adult Amateur, Open and Junior/Young Rider. April show high point will be awarded on Sunday April 22. 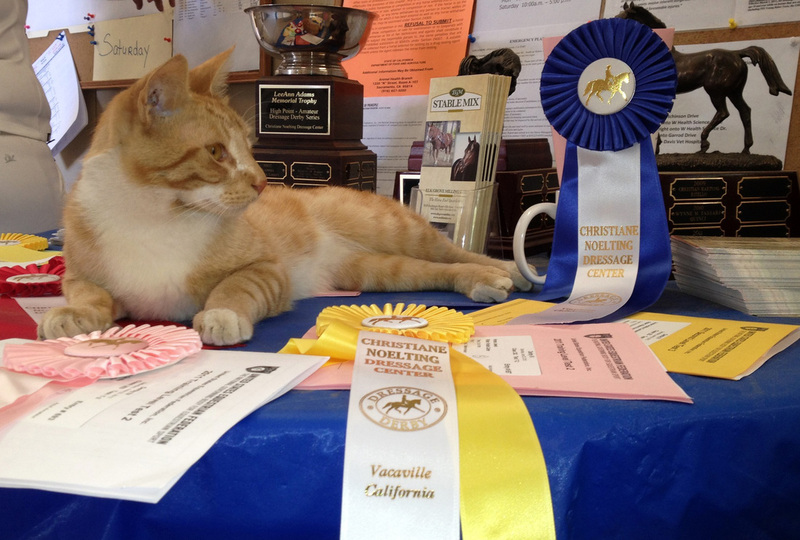 May and June shows will be awarded on Saturday evening and include scores from Friday and Saturday classes. High point winners receive a high point ribbon and 50 Dressage Bucks to use in the CNDC Store. Qualifying for Series High Point; Horse/Rider combination needs to compete in a total of 3 days at 2 of the 3 CNDC Derby weekends. Eligible Scores will be earned between First Level and FEI. Excludes freestyles and non-standard tests. FEI tests; Prix St. Georges, Intermediate I, Intermediate II and Grand Prix. Scoring will be based on an average of the 2 highest earned scores from the eligible tests ridden by a single horse/rider combination. 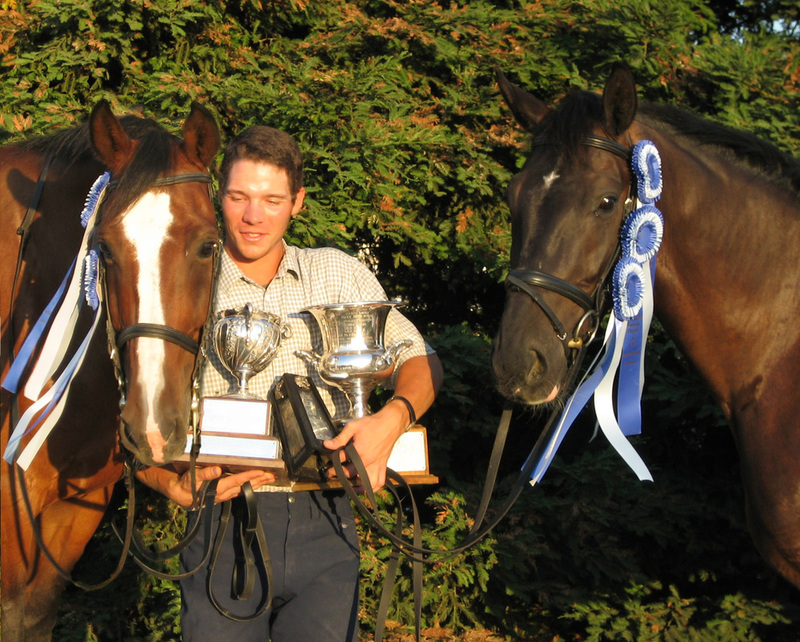 Champion USEF Level – Highest average score earned at First to Fourth Level. 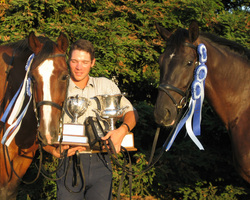 Champion FEI Level – Highest average score earned at FEI. Scores will be from April 21 & 22, May 25, 26 & 27 and June 22 & 23. Awards will be presented on Saturday June 23rd at the evening event. ​New this year, each show will host a welcome party on Saturday at the closing of the show day. April: “Photo Booth”, wine and chocolate. May: Wine pairing and beer tasting & musical freestyles. June: Series Awards presentations & Margaritas and Taco night . ARENAS: Outside sand courts - 20 X 60 m. Covered warm-up - 25 X 60 m and new outdoor warm-up are sand and Nike. No one on foot allowed in warm-up. Longeing in designated area only. Must vacate arenas when equipment is being used. VET/FARRIER: Numbers posted in show office. MISCELLANEOUS: Ride times will be mailed. Dogs must be on a leash. Stray dogs will be impounded and held for $50 get out of jail card. MAKE SPECIAL ARRANGEMENTS to arrive early or stay later. Feed and bedding are the responsibility of the exhibitor. Shavings for sale on grounds. Please deposit all manure in designated areas. Wash horses in designated area only.